Thanks to all who did the mite counting & stores checking at last month's meeting. I hope you have done the same with your colonies now & that they are ready for winter. Sam Millard helped me reverse the Eythorne boxes - half broods of stores are now on the bottom. Next step mouseguards, as the nights become colder. Lots of new, familiar & friendly faces came to say hello at the Ploughing Match. Phyllis had success with her honey entries, well done! I managed to get a 3rd place out of 2 entries [!?]. The Asian Hornet nest in Gloucestershire has been found & destroyed. Sadly more have been found to the north of the Mendips in Somerset. It is worth pointing out that every sighting so far has been made by a beekeeper, so stay vigilant. I hope we have a good crop of entries, try something different! The Entry Form can be downloaded HERE and posters can be downloaded as A4 here and A5 here, so print some off & put one in your window & car; ask your local shop, post office, village notice board to please display one. The closing date for entries is officially 15th October, but Chris is kind! He will send you the stickers in the s.a.e. you must enclose with your entry form. Confectionery entries don’t have to be made with your own honey – it may be your first year! Read the regulations carefully. They may seem picky, but it leads to fairness for all. At the meeting on the 24thSeptember, Peter Willoughby carried out a repair on the roof. Then, a few days later, he painted the shed exterior to make it more weather-proof for the winter. It looks very smart & Peter deserves all our thanks, a talented chap! Mary Hill will be running a Beginners’ Course in the mornings of the February and March meetings in 2017 (last Sat of month, but dates to be confirmed). The application form is downloadable HERE. Mary Hill will also be running a course for those wishing to take the BBKA Basic Assessment exam - the application form is HERE. Mary tells me that unless she has at least five students she will have to revise the arrangement of the course or cancel it. She needs numbers by the end of October so if interested apply soon. There are a lot of members who have kept bees for at least two years and who ought to be considering doing the BBKA Basic Assessment. Have a look at page 341in October’s BBKA News to find out about training over the winter for this assessment. It is a requirement that you have passed the Basic Assessment first. For those who like surveys, the BBKA have their annual Honey Survey on Page 357 of October’s BBKA News. It’s quick & easy to do - I did mine on-line at the BBKA website www.bbka.org - there’s a link on the first page. It is important for early signs of national & regional trends in honey yields, even if you, as yet, have had none! I look forward to seeing you at the Honey Show on 22nd Oct - please come along! P.S. Next month’s meeting [November 26th] will be indoors at Alkham Village Hall, our AGM. 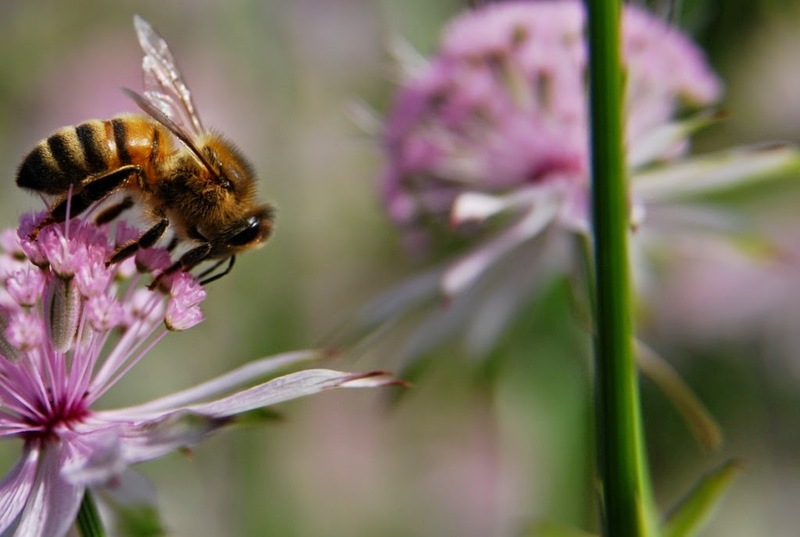 Think about what you could offer in terms of a committee or apiary role.